Consider turning a corner in the dark and running into a small, solid black humanoid. What would you do? A small black humanoid surprises a camp counselor in the dark. That is exactly what Reddit user Justinf10000 had happen to him. He isn’t alone either. There are scattered reports across the web of small solid black humanoid creatures being spotted. Typically they are about 3 feet in height and solid black, even in light. These humanoids seem to always be naked, have not discernible facial features and be incredible quick. This encounter took place in about 2006. This happened about 8 years ago. I was 21 and working as a camp counselor for Camp Tommy in fishkill NY. This was a place where its basically a bunch of cabins in the woods on top of a mountain. The cabins are all like half a mile apart from each other, so you’re pretty isolated in the woods. One night at about 1am I was sneaking off to meet my camp GF (you’re supposed to stay in your cabins after 10pm) as was usual, and was cutting through some woods to get her to cabin. The setting couldn’t be more perfect for a spooky encounter in the night. That is exactly what he had. Suddenly I heard rustling in the woods, and stopped to investigate it. There are bears/other animals so I was expecting something like that. This 3 foot humanoid type thing suddenly jumps out of the bushes spooked and looks at me. It’s too dark for me to make out any of its features, other than it was standing on 2 feet, had 2 arms, and basically looked just like a miniture person without any features (just looked solid black, if it had clothes on, I would have been able to notice that). I was really curious what it was so I started walking towards it, and it must have got more spooked because it bolted back into the woods. I’ll never forget how mechanical it looked as it took off running too. It’s whole body basically shifted 90 degrees (like if someone was doing the robot dance) and it just took off. I have never seen anything on 2 legs run that quickly so I was pretty confused about what it was. I’m a pretty fast runner and fit person in general, but this thing was on another level of fast. As much as I try to make sense of it, I still to this day have no idea wtf it was. It was very human, but too short to be a human (3 feet tall is about accurate) and i really don’t know how a human could run that fast anyways. I have no freakin idea but it’s always bugged me! Maybe one day I will go back to try and find this creature again! 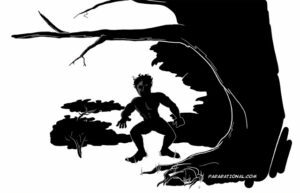 His encounter in the woods of New York was not the only sighting of a small black humanoid creature. Several other people have had encounters with solid black humanoid creatures over the years. Hhandholmes posted this account of their experience with these creatures. In 2006 a , a friends mom, an elderly woman, a mother and her daughter along with my friend and I all witnessed strange sightings within a months time and are trying to figure out what it could be. In most of the cases we all witnessed the same style of humanoid, around 3 1/2 to 4 feet tall and pitch black, meaning that no features were even seen on the things. They would walk/run extremely fast and were only seem at night time, sometimes even passing through street lights yet their bodies got no lighter than what they were in the dark, they were always a pitch black. They were spotted all in the same two blocks of each other, mostly standing in the alleys, once sitting in a tree, on someones front porch and even in a bedroom. The most seen together was only two, meaning that they mostly traveled alone? Most of them seemed to simply be watching, there was one incident where the being was slightly different. 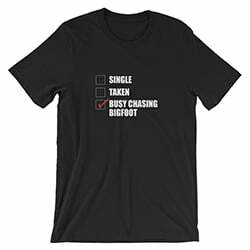 it was probably a foot and half taller but hunched over and could drop on all fours and sprint away faster than any animal or person I have ever seen. Some people would discount this encounter because the witnesses were smoking weed. Despite that, I think it is very likely that these guys saw something quite unusual. User AMpwrs posted this encounter with a solid black humanoid that just walked out of the woods in front of him and his friend. This happened to me and friend several years ago in North Alabama. It was around 1996 or 97 and we had been out in the fields and woods mudding in my friends 4×4 truck. It was about 1:00 a.m. and we were heading back to his house when we ran out of gas just down the road before we got there. We both stayed at his house most of the time because his mom never stayed there, so we could do whatever we pleased. The back door stayed unlocked always because he didn’t have a key. So we’re out of gas and pushing the truck the last little stint back home. We got the truck in its usual parking spot which was about 10 ft in front of a security light. So we decide we want to sit inside the truck for a little bit and listen to music and smoke a joint. The radio is down pretty low and we are not really talking, just being really quiet while I roll up the joint. I light it and take a toke then I pass it to my partner. He passes it back and that’s when I look up and see it. Standing there no more than 10 ft in front us and directly in clear view under the security light was a horrible creature. I froze up and just remained as silent as I could, then my buddy screams out loudly. That’s when this thing noticed us and jumped, turning in our direction. It immediately ran off in an awkward lanky fashion and ducked behind a tree. It then peeked around the tree back toward us then sprinted off towards the woods where it disappeared. That’s when I said, “did you see that”? My friend immediately described exactly what it was that I had just witnessed down to detail. A solid black bipedal creature with shiny tight skin. It had an elongated head and no face. It did have facial bone structure but no orifices. No mouth, no nostrils and no eyes. You could see every bone in its body and it was slightly hunched. It had long dangling pointy fingers. Working from so little information, we are left with just speculation. But here are some thoughts on what these creatures are and what they aren’t. Are These Humanoids Shadow People? One possible explanation for the small solid black humanoid encounters is that they are some manifestation of Shadow People. This theory has been bantered around on some message boards. I find this unlikely. Most shadow people are more fleeting encounters that take place in the dark. Rarely are they described as solid beings as these creatures are. Many people like to suggest creatures like these are demons. This seems unlikely as well considering that they don’t appear to be malicious in any way. They seem more interested in getting away from humans that causing them harm. Additionally there aren’t any of the associated demonic call signs such as foul smells or the like. Could These Creatures Be Aliens? One possible answer is that these creatures are actually aliens. The descriptions sound similar to Gray Aliens, approximating them in size but not in color. The fact that these solid black humanoid creatures are described as naked, but are devoid of external genitalia, facial features, orifices and the like make me lean towards this as an answer. If they are aliens, it is possible that they are some sort of scout unit, possibly not even biological as we know it. Or they could just be wearing a new type of environmental suit. One last option is that these are extra-dimensional creatures that either by purpose or by accident have arrived here. It seems very possible that these, like the Dover Demon are lost “aliens” from a parallel dimension. If humans occasionally vanish through portals to never be seen again, it seems likely that entities from other dimensions can slip on accident from their realm to ours. Have You Encountered A Black Humanoid? 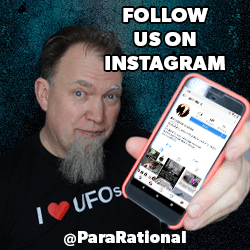 We are always looking for first hand accounts of the paranormal. If you have had an encounter with a solid black humanoid like these people have, please let us know. The more we can find out about encounters with the creatures, the closer we are to being able to solve the mystery of what they are.